Is The Bottom Line Diet and Exercise ? If you don’t have time to watch the whole video, I highlighted some key topics that you can fast forward to below. I found this video very interesting and worth taking the time to watch. 14:00 Are soft drinks the cause of obesity? 107:00 Explains insulin levels, leptin, and reward signals. The comparison between ethanol and fructose. The UCSF Watch Clinic Lifestyle Intervention. There is a lot of talk about what the bottom line is to living and remaining in optimal health. The question remains that if it’s all about diet and exercise, why are there 6- month year old obese kids in America and outside the U.S. right now? I find these facts alarming and sad for our future leaders throughout the United States. I’m not sure how many 6 month year old obese kids are in the New York City area, but it’s crazy that this problem exists. We were all taught that diet and exercise is the key to living a quality lifestyle at an optimal level. Unfortunately this video proves that this solution might not be enough. Here’s an article that I found in www.theAtlanticwire.com that speaks more about the topic posted in the video. Don’t worry, though, because the government says it’s no big deal. When a federal agency last looked into the health effects of sugar in 2005—and once before in 1986—they acknowledged the link between sugar, heart disease and diabetes but ultimately deemed the research ambiguous. Taubes points out that that the author of the 1986 report also happens to be a paid lobbyist for the Corn Refiners Association, who represent the interests of high fructose corn syrup producers as well as corn farmers. 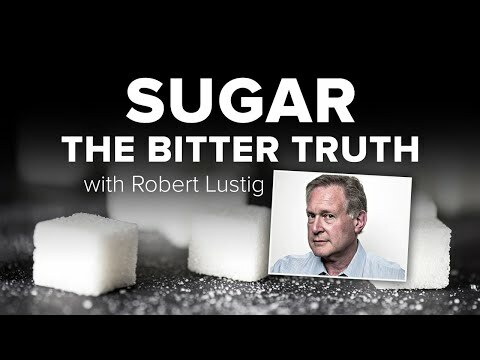 And then last year, the lobbyists spent another $30 million in an attempt to rebrand high fructose corn syrup as “corn sugar.” Their petition to the Food and Drug Administration ultimately failed, but if Lustig and Taubes’ crusade against all things sugar-related continues to receive attention it might not matter. Nevertheless, what’s held back the more conclusive reports that sugar is indeed toxic boils down to a line the corn lobby can deliver over and over again: “The evidence is inconclusive.” Despite the consistent correlation drawn between sugar consumption, heart disease, and now cancer, industry-employed scientists (read: lobbyists) can always argue that correlation does not equal causation. It’s the same line that the tobacco industry used to use. In conclusion, please read your labels before you buy anything you eat and drink. If you care about your health, I encourage everyone to remove everything that contains High Fructose Corn Syrup from your shelves. Try your best to lower your sugar and salt intake within your drinks and meals. Diet and exercise will always be important, but if you’re drinking unhealthy beverages and meals on a consistent basis, it might not be enough. To end this blog on a happy note, I posted a link below making fun of this topic. Feel free to check out the video below but make sure you come back and share you’re thoughts about this topic. This entry was posted on Sunday, April 17th, 2011 at 8:42 pm	and is filed under Fitness, Nutrition. You can follow any responses to this entry through the RSS 2.0 feed. You can leave a response, or trackback from your own site. Alan, thank you so much for posting this valuable research for us. I’ve read it once but plan to review it again since it is quite technical–which actually makes it more interesting and trustworthy. Unfortunately, cola drinks are addictive. I, for one, would love to see the campaign to tax soft drinks become reality. They are pretty worthless, not even good to quench thirst, and have no ingredients that are healthy. Of course, the big companies that produce them are powerful lobbyists and the addicted kids, and parents too, have difficulty breaking the habit. One of my pet peeves is the amount of high fructose corn syrup that is added to bread! Why I don’t know. I have managed to find the rare loaf that is sugar-free and it tastes even better than the stuff with HFCS. Juice “drinks” are another source of useless ingredients. The small amount of fruit in them is counterbalanced with added fructose, coloring and preservatives. Alan, keep up the good work. Another valuable source of information is “Eat This, Not That”.. Check it out.